We all know the age old story ‘ New Year comes quickly comes around once again and before we know it, we’re promising ourselves that in 6 months time we’ll be X amount of pounds lighter and we no longer will feel the need to reach for that bar of chocolate sitting on our desk. Okay so we might have a few slip ups along the way but ultimately, we’re working towards achieving a more healthy, youthful and glowing ‘us’. First stop on the path to getting fit after that Christmas diet is to book ourselves some worthwhile exercising time. Whether you’re going to the gym or exercising from the comfort of your living room (cue the nosey neighbors giggling at your star jumps), sometimes we have to break a sweat with our make-up on. I can already hear you crying out that of course we shouldn’t wear make-up when we’re working out. When we get hot, our skin gets hot, causing our pores to open and if we’re wearing a full face of cosmetics, dirt and oils will seep into our skin and get trapped beneath the surface, thus causing break outs! However, when you’re in a rush from work or you’re absolutely petrified of letting the local gym ‘hunk’ see you without a full face of make-up, it can be easy to avoid taking your make-up off. 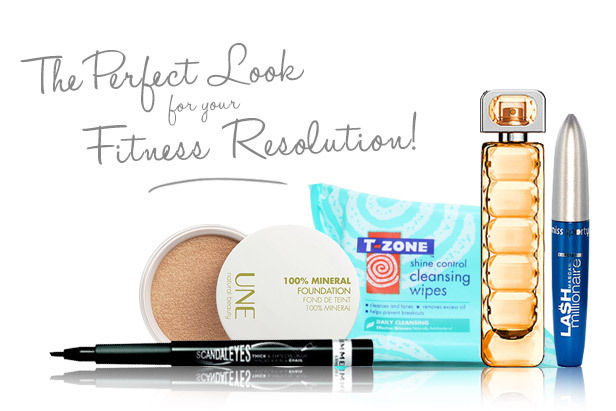 We do stress that it’s important to let your skin breathe during a workout but if wearing make-up can’t be avoided, take a peek at some products we recommend for your fitness regime. As we said above, it’s important to let your skin breathe during exercise in order to stop your pores from becoming blocked. If you’re going to wear a foundation to the gym then it’s better to look for products that aren’t going to add any excess oil to your face. 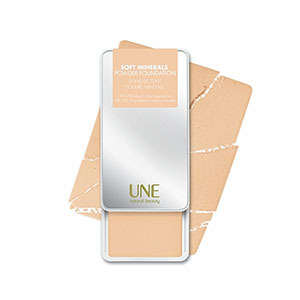 Bourjois Une’s Soft Minerals Powder Foundation is a good base product if you want to help shine control. Mineral based make-up products soak up excess oil and mattify the skin, providing you with a more natural look. Apply your mineral based foundation with a large powder brush so that you can reach a larger portion of the face. A waterproof mascara is an essential when it comes to any fitness regime and it’s a great alternative if you would rather leave your foundation behind. Mascara is a great tool for opening up your eyes and making you look that little bit more awake. Because you’ll be working out so very hard, waterproof mascara is great for maintaining long lashes while you exercise. 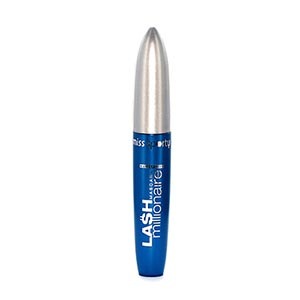 We like Miss Sporty’s Lash Millionaire Waterproof Mascara for maintaining fluttering lids while we’re lifting those weights or running on that treadmill. It’s long lasting power will see you through your workout and beyond. Obvious fact number one: Sweat smells. Even if you’re Rosie Huntington Whiteley, you’re still going to smell bad after an exercise session. Of course you’re going to bring your deodorant but what about a fragrance? Spraying your favourite scent may seem like a slightly strange and unnecessary thing to do at the gym but certain fragrances actually have the ability to cover those odors that your deodorant cannot (just call them super hero fragrances). Citrus perfumes are undeniably fresh and energizing; just what you need to inspire you for a workout. BOSS Orange Eau de Toilette is a nice scent for taking with you on the go. Because it’s light and refreshing, it’s perfect for spritzing before exercise. 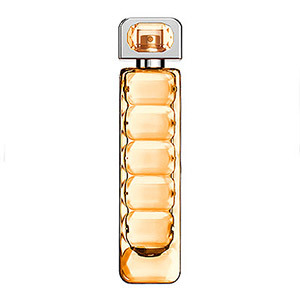 It contains notes of Orange and White Flowers which create a modern and carefree scent. It’s vital to shower after exercising. First and foremost, we need to think about our hygiene. Sweating may be a sign of a really good workout but say it, don’t spray it! Not only can a shower alleviate unwanted smells, it can also help to ease your muscles after an intense workout. Part of enjoying your daily shower is all about having an indulgent shower gel that leaves your skin looking and smelling amazing. We love this BOSS Orange Shower Gel which is the perfect accompaniment for the BOSS Orange EDT. You can continue the bohemian, light scent of BOSS Orange and enjoy soft and smooth skin. Whether you’ve worn make-up or not to the gym, it’s very important to cleanse your skin after your workout. The best time to do this is directly after exercising, while your skin is still warm. The reason for this is that as your skin cools down, your pores tighten and trap any make-up, oil or bacteria in the opening of the pore which can lead to breakouts. 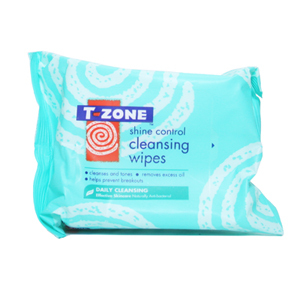 T Zone’s Shine Control Cleansing Wipes are good for taking on the go, so as soon as you step off the treadmill, you can cleanse your skin. It’s also good to use these wipes before your workout as they help to control shine ‘ something that we can all appreciate when we’re sweating like mad. What are your New Year’s resolutions? Do you wear make-up to the gym? Let us know by leaving a comment below!